Dr. Hans Friederich congratulated partners on the success of the Programme at the event in Yibin. Yibin, Sichuan, China, 2nd September 2014 – INBAR and Citibank (China) Co. Ltd. today celebrated five years of achievements of the China Bamboo Enterprise Programme at an event in Yibin, Sichuan province, releasing a new report on the achievements and impacts of the programme, and opening a new, jointly-funded, training centre in Changning County in Yibin. Andrew Au, Chairman and Chief Executive Officer of Citi China, Hans Friederich, Director General of INBAR, and Zhang Min, Deputy Mayor of Yibin, along with representatives from the local forestry sector, bamboo processing SMEs, industry associations and farmers cooperatives attended the event. The programme was established after the 2008 Wenchuan earthquake in a bid to address the gaps and challenges faced by residents during reconstruction and to foster the post-earthquake revival of livelihoods of affected communities through bamboo production and development. Funded by the Citi Foundation, the Programme has been well-supported by the Yibin government, and implemented by INBAR in conjunction with Sichuan Forestry Department and Sichuan Agriculture University. Andrew Au, Hans Friederich and Zhang Min admire the bamboo woven articles of which master weaver Chen trains beneficiaries in the production. After five years of work, the Programme has exceeded expectations. It has helped about 50, 000 individuals and more than 240 bamboo enterprises in 45 villages in Sichuan Province, resulting in average increases of 30% in beneficiaries annual incomes. The Programme has not only significantly contributed to post-disaster reconstruction and rehabilitation efforts in the eight disaster-stricken communities, but has also helped with long term recovery of local livelihoods by increasing employment opportunities and improving the deteriorated natural environment. The successful practices and development models developed in Sichuan have been extended to 20 villages in Zhejiang province since last year, benefitting about 23, 000 individuals, resulting in significant economic and social benefits. The Programme is an excellent example of how to address post-disaster reconstruction and development. One of the Programme’s more recent successes is the introduction of greener production methods for bamboo shoots, resulting in a higher quality and more marketable product. A Programme report was also launched at the event, which reviews the Programme’s history and development. Entitled “China Sustainable Bamboo Enterprises: Celebrating five years support from Citi Foundation”, the report also analyses the potential and outlook of the bamboo industry in China, and introduces an effective capacity building mechanism that will enhance the sustainable production and consumption of the bamboo production chain, a well as facilitate economic recovery within the reduced environmental and resource capacity after the disaster. 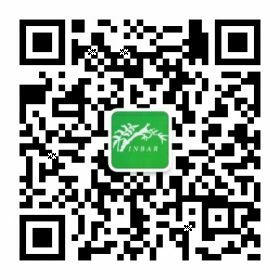 Subsequent to the celebration event, INBAR and Citi again joined forces to open a jointly supported training center in Changning county. The “INBAR/Citi Bamboo SME Traning Centre” is part of the 2013-2014, 4th phase of the project. The building was provided by the Changning Forestry Department and can be used freely by the project team over the next 5 years. 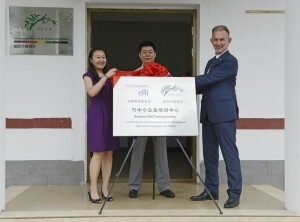 The center will serve as the training center for bamboo SMEs in Sichuan by the EU and Citi funded projects and also for Changning Forestry Bureau.